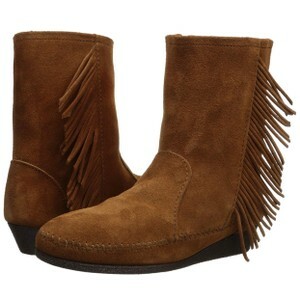 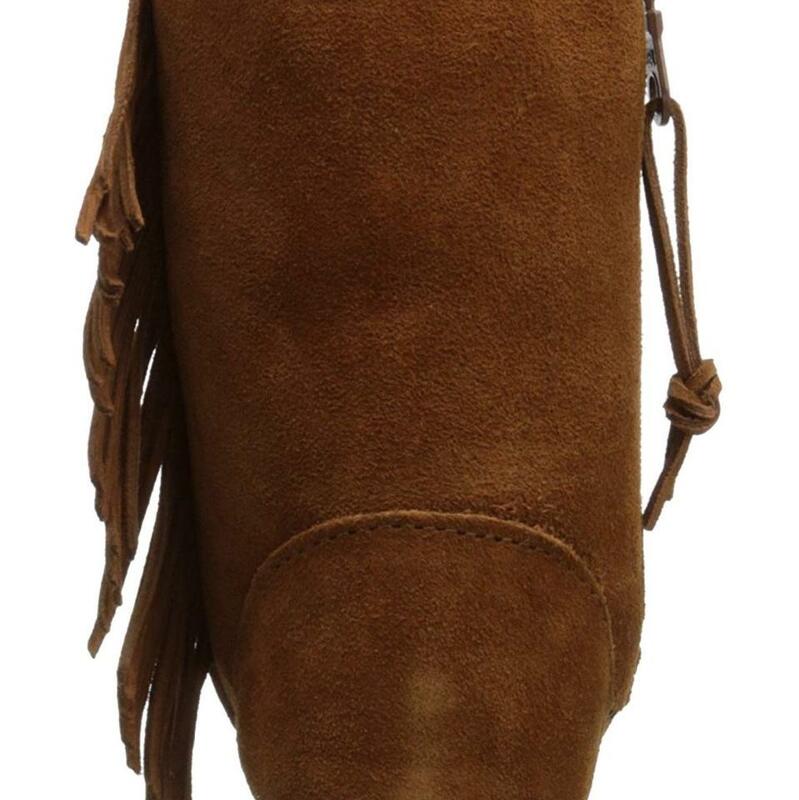 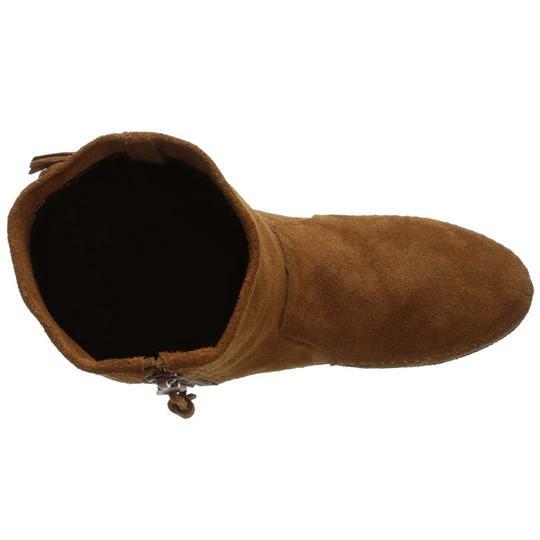 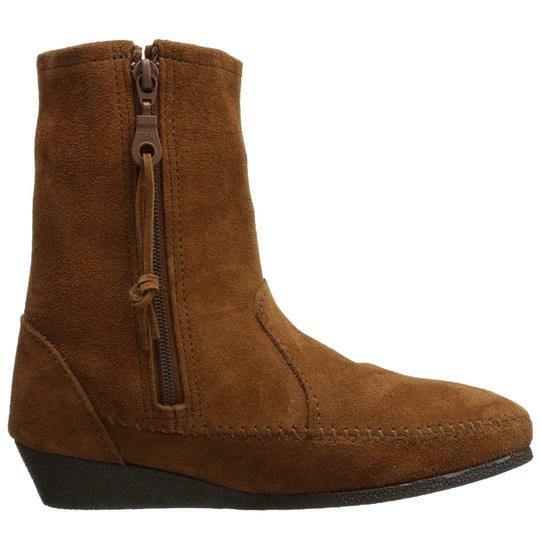 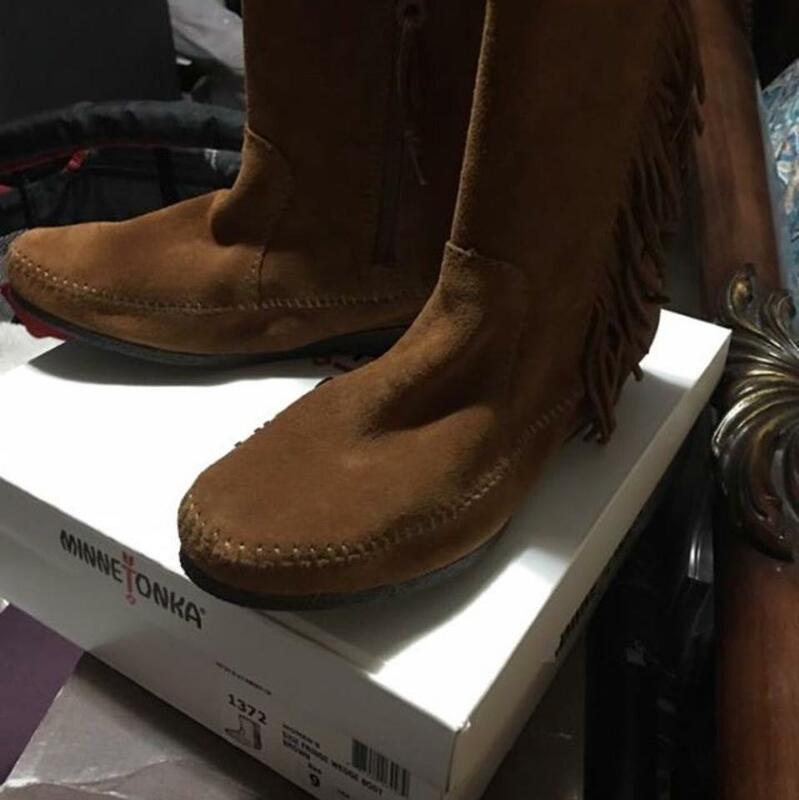 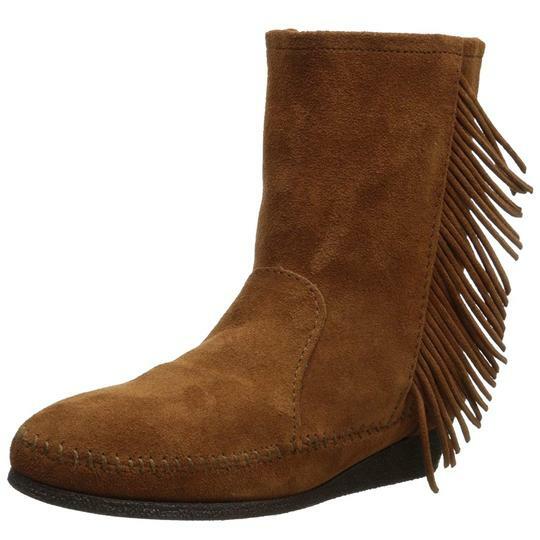 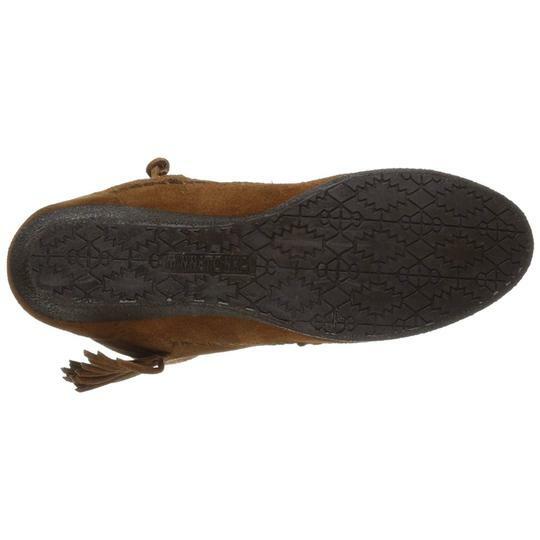 Minnetonka women’s side Fringe Wedge Western Boot, Brown. 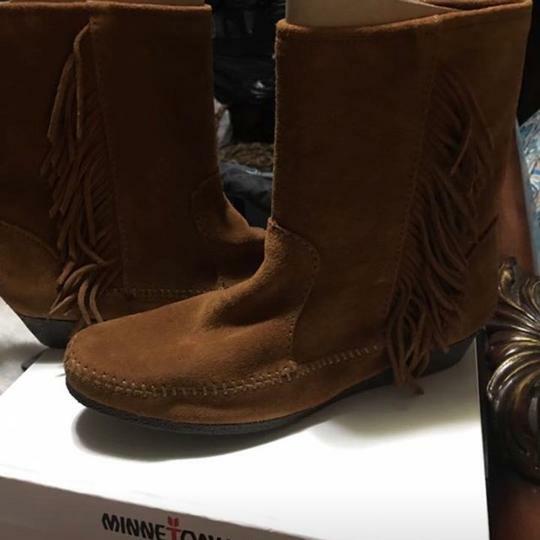 New Never Been worn. In box they came in.